In fact, I think the zoos in Ohio are some of the best in the country. We’re so lucky to have three major zoos (and some pretty awesome regional zoos too). 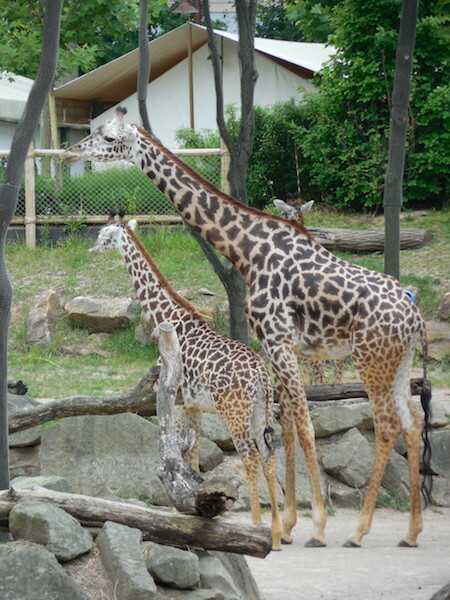 The Cleveland Zoo is my personal favorite, but I also love the Akron Zoo and the Columbus Zoo. I just visited the Cincinnati Zoo for the first time, and my visit has only solidified my opinion that Ohio’s zoos are some of the best things to do in Ohio. One way the Cincinnati Zoo stands out from others across the country is its commitment to “going green.” In 2010, the Zoo earned recognition as the greenest zoo in America. It continues to lead by example in all areas of sustainability and through green initiatives. You might not notice when you visit (but keep an eye out for green practices), but the Zoo uses green building, renewable energy, water conservation, storm water management and other green initiatives to have a positive impact on the planet. Learn more about the zoo’s green initiative and even how you can go green at home. Going green — just one more reason to love this zoo. The Cincinnati Zoo is huge. Thankfully, it’s also laid out very well, so you don’t have to backtrack to the different exhibits (or at least not often, though I did get turned around a couple times). I will introduce you to the exhibits as my family experienced them. You can either use our path or make your own by checking the Cincinnati zoo map. After Wildlife Canyon, we moved on to Monkey Island, where we saw Japanese Macaques. It’s a great place to sit and watch the monkeys play! Built in 1875, the Reptile House at the Cincinnati Zoo is the oldest American zoo building and is also a National Historic Landmark. Here, you will encounter Chinese alligators, various snakes (including a California King Snake, which I can see anytime I want to in my dining room — but if you aren’t so lucky, you can see one at the Cincinnati Zoo), lizards, and turtles. Gorilla World is getting a makeover! Actually, it’s more extensive than that. Gorilla World is expanding! The construction noise might be annoying, but it shouldn’t stop you from admiring the Cincinnati Zoo’s gorillas and Colobus monkeys. Eventually Gorilla World will have an indoor facility, where guests can view the gorillas year-round. 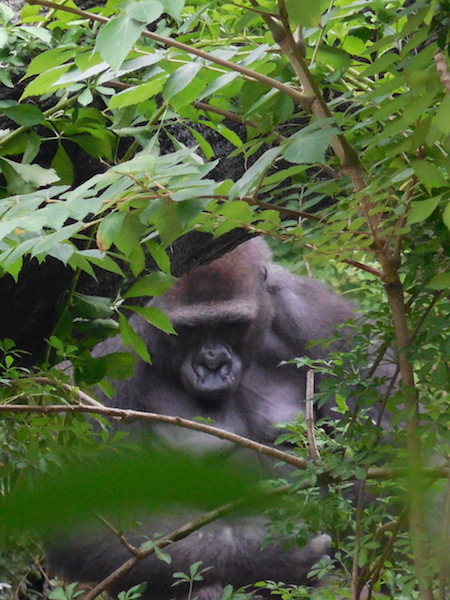 Until then, the gorillas are on exhibit in their outdoor facility. See if you can spot the baby, Elle! You can see the small cats in the Night Hunters exhibit, such as Pallas’ cat, bobcat, black-footed cat, sand cat, and my favorite, the fishing cat! The Night Hunters Exhibit also includes other animals like the fossa and Giant fruit bat. This is another kid favorite! 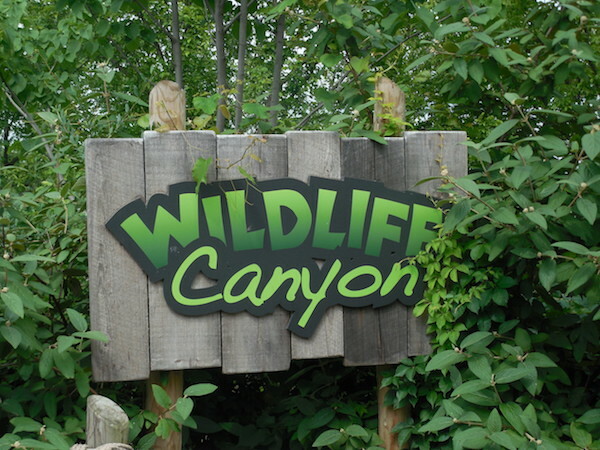 Besides the small cats, guests can see big cats at Cat Canyon. I loved watching the cougars chase each other around their exhibit. It was like watching large versions of my cats! At Jungle Trails, you’ll get a chance to see the chatty gibbons up close. My goodness, the white-handed gibbons were extremely talkative when we visited! Which makes sense – these monkeys “sing” to keep other gibbons away and to protect their families! It was quite an experience to listen to them “sing.” I also enjoyed seeing the orangutans (which are another of my favorite animals to see at the zoo) and the bonobos. I love wolves and I love visiting them at the zoo! The Cincinnati Zoo features Mexican gray wolves. Also part of this exhibit are river otters. I love that they educate guests about conservation efforts of the Ohio woodlands and its species here. Painted Dog Valley. There were nine painted dogs in the exhibit when we visited. Nine! I heard someone say that they were all part of the same litter that was born at the zoo not too long ago. Most of them were sleeping, but they were still fun to watch! Painted Dog Valley is also worth visiting because of the exhibit itself – it is absolutely beautiful, and it is one of the greenest zoos in the country. Meerkats. The Lion King was my favorite movie as a child, so I love meerkats! Giraffe Ridge. The viewing deck at Giraffe Ridge allows guests to get face-to-face with these African beauties. This exhibit also allows guests opportunities to feed the giraffes throughout the day. This is a must-see exhibit, even if you don’t decide to feed the giraffes. Lions. In addition to the white lions, the Cincinnati Zoo also features “regular” African lions. Cheetahs. The Cincinnati Zoo offers two ways to experience the cheetah exhibit. The first is to simply view them in their habitat. The second is to watch them run! Click here to find out times to see the cheetahs run. Elephant Reserve. The Cincinnati Zoo features Indian Elephants and Bull Elephants. In addition to viewing these creatures in their habitats, guests can also watch them get their baths at bath time! We happened to stop by this exhibit at bath time. Click here to find out the bath time for the day you plan to visit. Hippo Cove. The Cincinnati Zoo has recently welcomed the birth of baby hippo Fiona! Baby Fiona was born prematurely, so the zoo is taking great precautions with her — and she only comes out to play if she wants to. For “Team Fiona” updates, click here. There were so many people pressed up against the glass that we probably wouldn’t have been able to see her anyway. It was still cool to watch her parents play together while cooling off in the water! The Cincinnati Zoo and Botanical Garden is huge. We took our time touring the zoo and didn’t get to see everything. These two areas, in particular, might be worth some extra time. Spaulding Children’s Zoo. 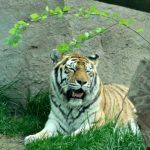 I’m a little too old to play here, but the children’s zoo is one reason that the Cincinnati Zoo is one of the best things to do in Ohio for families! The Spaulding Children’s Zoo features a playground and petting zoo, as well as animal encounters. Kids absolutely love the opportunity to interact with the animals, and the keepers are quite involved. 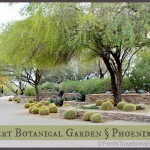 Botanical Gardens. As you’ve probably noticed, the Cincinnati Zoo’s full name is actually the Cincinnati Zoo and Botanical Garden. 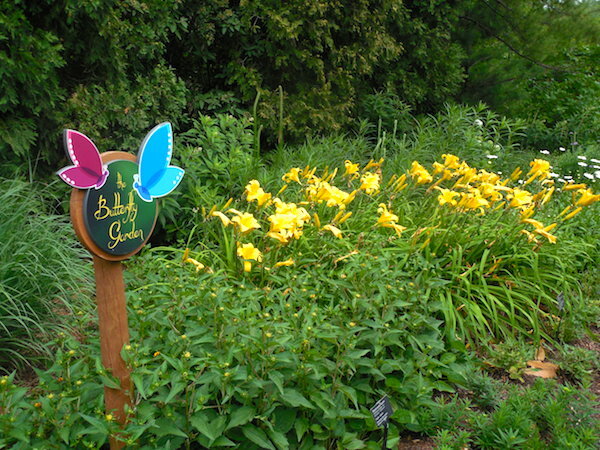 Besides all of the cool animals, the zoo also features beautiful gardens, such as the butterfly garden and the P&G Discovery Forest, which is an indoor greenhouse where guests can see the sloth, boa constrictor, and the blue and gold macaw. Pace yourself. As you have probably gathered, the Cincinnati Zoo is huge. Take breaks when you need to! It’s not worth it to “see it all” if everyone’s tired and grumpy! Hydrate! You can ask any dining location for cups of water. Dehydration will definitely prevent you from enjoying your trip to the Cincinnati Zoo. Look at the map. The zoo is laid out well, and we only got turned around once or twice. Just be sure to look at the map to make sure you know where you are! Location: 3400 Vine St., Cincinnati, Ohio 45220. Hours: Generally, the zoo is open from 10 a.m. to 5 p.m., though hours vary for special events and season ticket holders. “Any Day” tickets can be purchased for $17 online and $19 at the gate. Children/senior tickets cost $12 online and $13 at the gate. “Ride Package” tickets can be purchased for $24 online and $26 at the gate (ticket includes Zoo Admission with all day rides on the BB&T Express Train and Conservation Carousel.) Children/senior tickets cost $19 online and $20 at the gate. “Zoo Adventure” tickets can be purchased for $26 online and $28 at the gate (ticket includes Zoo Admission, a short 4-D Experience, All-Day Rides on the BB&T Express Train and Conservation Carousel, and Early Entry to the Zoo at 9am!). Children/senior tickets cost $21 online and $20 at the gate. Visitors can bring food and drink (excluding alcohol) into the zoo. The zoo also offers plenty of dining options. We at at Cincy’s Smokehouse BBQ, and their food is delicious! Their meals are served with homemade potato chips, and they are amazing! (You also get a good amount of chips! I couldn’t eat them all, and I was starving when we finally got our food.) 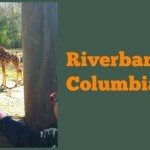 Click here to find out information about dining options at the zoo. Purchase your tickets in advance online to save $2 on regular admission ($1 on children tickets). Military and first responders get $3 off regular admission ($2 off children tickets). In addition, all members of the military — active and retired — receive FREE admission to the Zoo on Memorial Day, July 4 and Veteran’s Day. Purchase tickets at Kroger to save $2 on regular admission ($1 on children tickets).